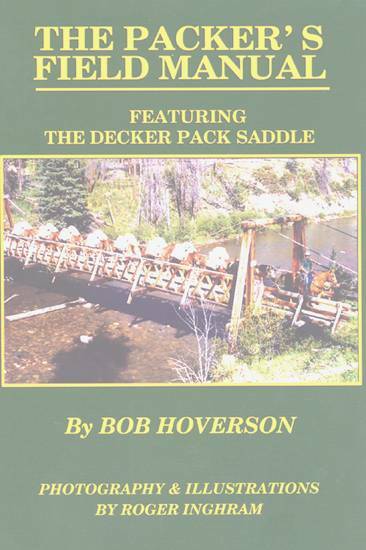 The thousands of hunters, horsemen and others who use mules or horses to pack into the back country now have a stunning 140-minute DVD available that shows in sharp, easy-to-understand detail how to pack mules or horses using a Decker pack saddle – titled “Mule Packing – Decker Style” . 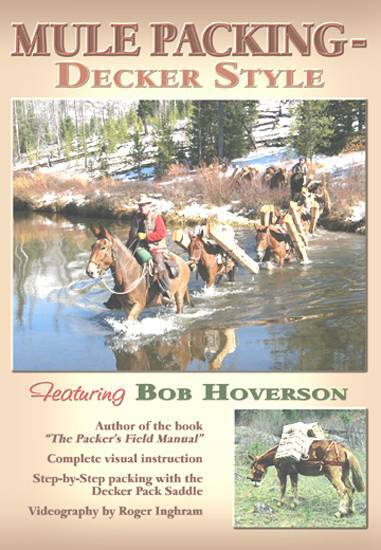 This DVD offers step-by-step instruction featuring master instructor Bob Hoverson, author of the book “THE PACKER'S FIELD MANUAL” , a 192-page instruction companion book to this DVD. Filmed by videographer Roger Inghram, the DVD is complete as it could possibly be – broken down into seven chapters that take you visually right into the heart of packing technique.